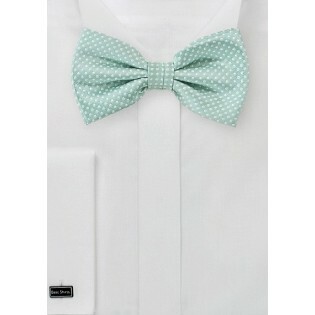 From the menswear designers at Puccini, this stunning men's bow tie features this season's hottest wedding color: soft mint. 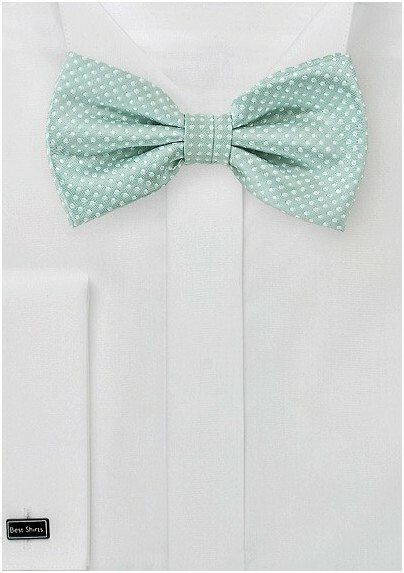 A pattern of small white polka dots adds a whimsical touch to the piece, making it the perfect bow tie for matching with groomsmen's ensembles. Made from woven microfiber and includes a pre-tied bow.